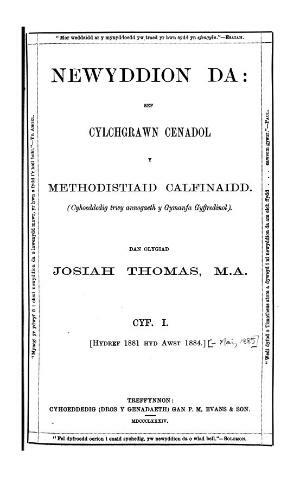 A Welsh language religious periodical serving the Calvinistic Methodists. The periodical's main contents were articles and reports on the denomination's missionary work. Originally a quarterly periodical it was published monthly between 1892 and 1893. The periodical was edited by Josiah Thomas, Liverpool, between 1881 and 1885, and by Griffith Ellis (1844-1913) between 1892 and 1893.